They say space is the final frontier! Many movies have been exploring the ultimate of human desires; some of them have soared, while others, in unknown numbers, have crash landed instead. The Cosmonaut is one film that has already soared above all others as the first, fully crowd funded, Creative Commons Licensed project of a grandiose scale. This beautifully shot sci-fi drama is out TODAY, FREE around the world and simultaneously on the web, TV, DVD and in the theaters. 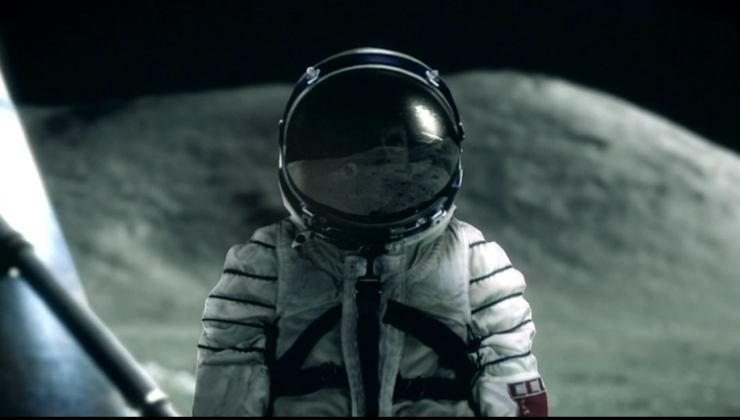 The Cosmonaut Trailer (In all your screens – May 18th 2013) 1080P from Riot Cinema on Vimeo. Set in 1967, right of the boom of the Space Age, it focuses on three friends and their journey through life, space and the moon. “The Cosmonaut” is a film that takes viewers to a psychological, emotional and even romantic love story among its three protagonists. The main story revolves around Stas as he “gets lost in space. When he comes back, he finds Earth completely empty. Yulia and Andrei wait for him in a collapsing world. How far would you go for love?” This subject of love and emotion plays a central role in the film. As exciting as its story, the actual making of the film is also a journey worth being told. It’s the first film to be released under Riot Cinema Collective and has successfully used crowdfunding (raising more than 400 thousand Euros) to produce and create the entire film. “The Cosmonaut” is much more than a movie. Is an experience that took four years in the making, pushing the boundaries of alternative distribution, copyright and financing. It’s crowdfunded (with more than half a million dollars raised), creative commons-licensed (all the raw materials will be realeased for you to reuse them and it will be online for free on our website as well as in P2P), transmedia (a feature film, 30 extra episodes, a shortfilm and two books), and with a fan-based distribution (you can organize your screening and make money!). A film that will take you fifty years back in time, to the beginning of the Space Race, when the Soviets ruled the cosmos. Suit up and choose “The Cosmonaut” experience. If you dare. The film is directed by Nicolas Alcala and produced by Carola Rodriguez and Bruno Teixidor starring Katrine De Candole, Leon Ockenden and Max Wrottesley. It’ll be out on a pay-what-you-want option as well. Those who choose to donate will also receive access to additional film footage and other movie details. For an independent film, its utter uniqueness and story is well worth the watch.